In this somewhat unbelievable video, a cat is heard barking like a dog and, when caught suddenly reverts back to meowing. 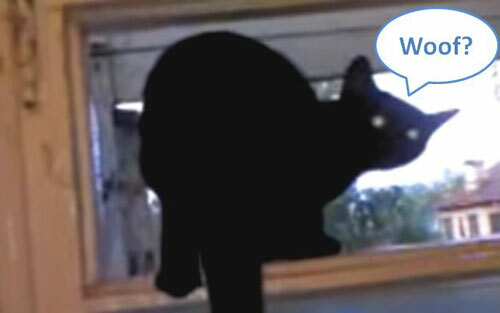 The person filming the video hears the barking and then approaches the cat from behind. When the cat sees the person filming, suddenly it starts meowing again. See the original video below to see for yourself. After watching it, click the next page to see what a vet has to say about it. Is it real or fake? Now click here to see what a vet thinks about it.